We've used Norah's Bubble Gum Factory only once and candy-making is already much less of a mystery. (Note: This "factory" was really nothing more than a recipe book and a bag of ingredients.) That said, the gum we made tasted identical to what we buy in the convenience store. 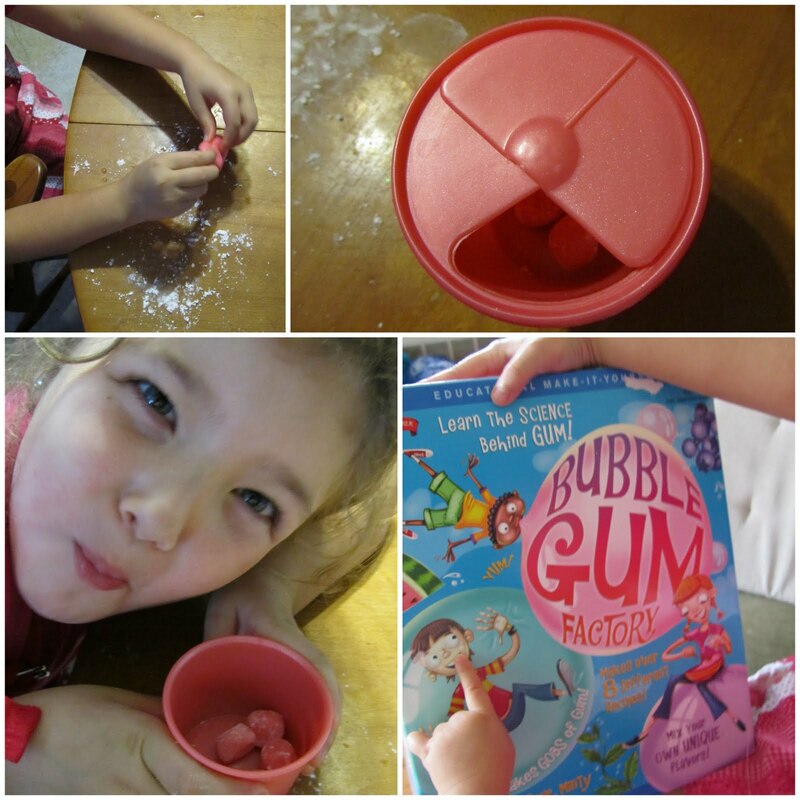 Norah still has plenty of ingredients to make several more batches of bubble gum and we will. But, not before I have to find some disposable, microwavable cups and some disposable, yet sturdy stirring spoons. When the directions warn that making bubble gum is sticky business, they aren't exaggerating. I had to throw out the Tupperware and the plastic mixing spoon we used to stir our first batch of gum. But, it was yummy!